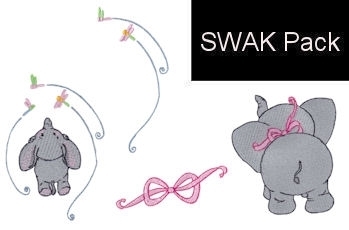 Baby Elephant Too 2, SWAK Pack - 2 Sizes! 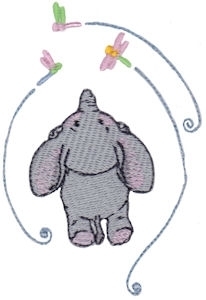 Baby Elephant Too is second installment of the Baby Elephant series. 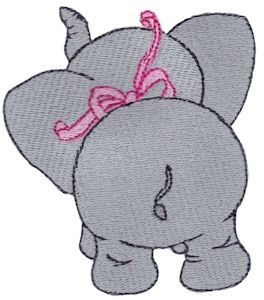 Baby Elephant is a cute and whimsical collection of a frolicking baby elephant. This collection comes in two sizes, one for the 4x4 hoop and one for the 5x7 hoop. 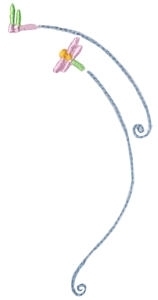 Fun Bird Applique - 2 Sizes!